When I gave birth to Kabir, my Vitamin D levels had dropped to 5. For those who don’t know what that means, levels such as that can be fatal. In a situation like this, you have to get a blood test done almost every day to know that you are making progress. I had cracked my ribs and had no idea about that for a long time and just went about my daily life. Thankfully, with enough conversation around the negative effects of less than optimal Vitamin D levels, things are beginning to change a bit. Unfortunately, what we haven’t yet grasped is that there are many other deficiencies in the body that can lead to equally severe situations. For instance, the lack of magnesium can create irregular heart rhythms and fatigue. Excessive potassium can cause high blood pressure. And yes, just like any other reasonable adult, I get my annual blood test done regularly. But the trouble with that is the minerals and trace minerals values can change dramatically in a short period and there aren’t any apparent or immediate symptoms to tell if they have dropped or become toxic. So, for a while, I was hoping that there might be an invention soon that allows us to measure these values like say a glucometer. And that’s why I was really happy when I discovered Vitastiq 2. It measures the values of 26 minerals, vitamins and trace minerals without even a prick. 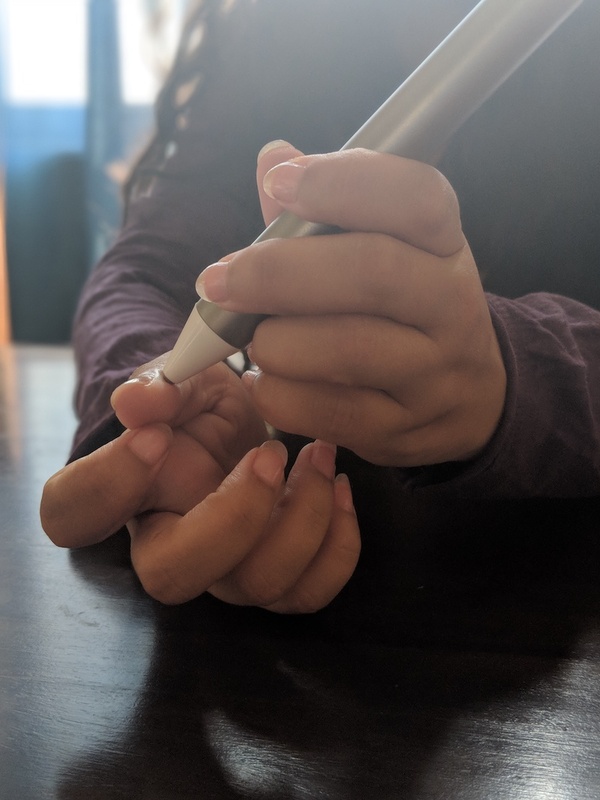 It doesn’t give numbers but you are presented with qualitative (high, medium or low) measurements which can be taken as an indication of a deficiency. 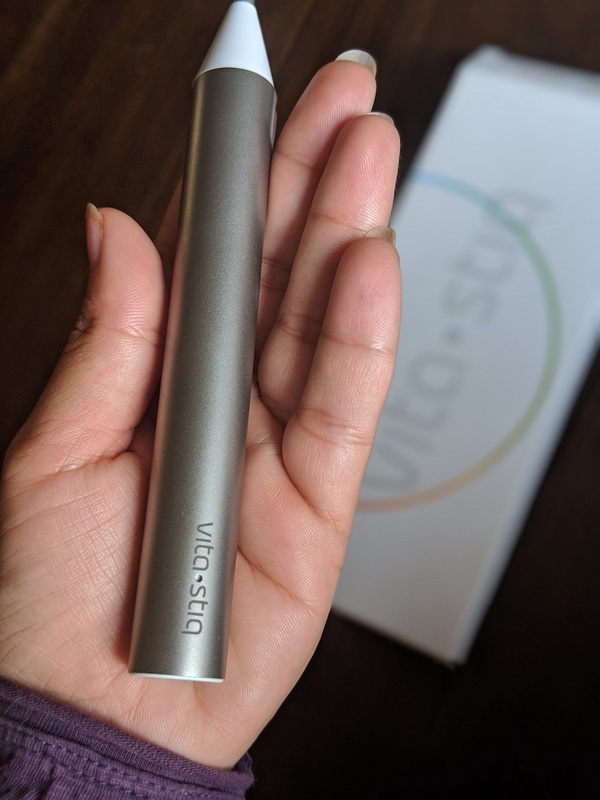 The Vitastiq is a sleek looking pen-like, easy to use device which can be conveniently tucked in almost anywhere on the go. It coordinates with an app on your phone to show you the reading. It uses Electro-Acupuncture technology to measure the electrical conductance at key acupuncture points on the body, which then syncs the results and gives you a report via the app. It’s completely painless and non-invasive and you can use it anytime, anywhere. I have recently started using it and it is helping me immensely. And to test the device, I stopped consuming my magnesium supplement for a few days and the levels dropped. However, at the same time, I must say, I haven’t yet validated the results with blood tests only with my experiments and experiences for which it seems to work well. And I will soon be doing that too and will update the article with my findings. 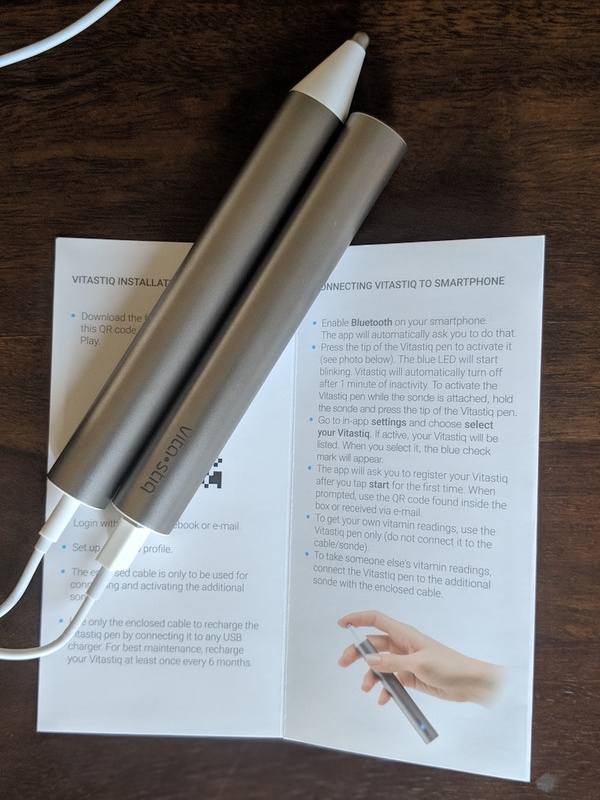 It comes with really simple instructions on how to connect with the Bluetooth in your device and once you download the app, it’s fairly easy to follow. 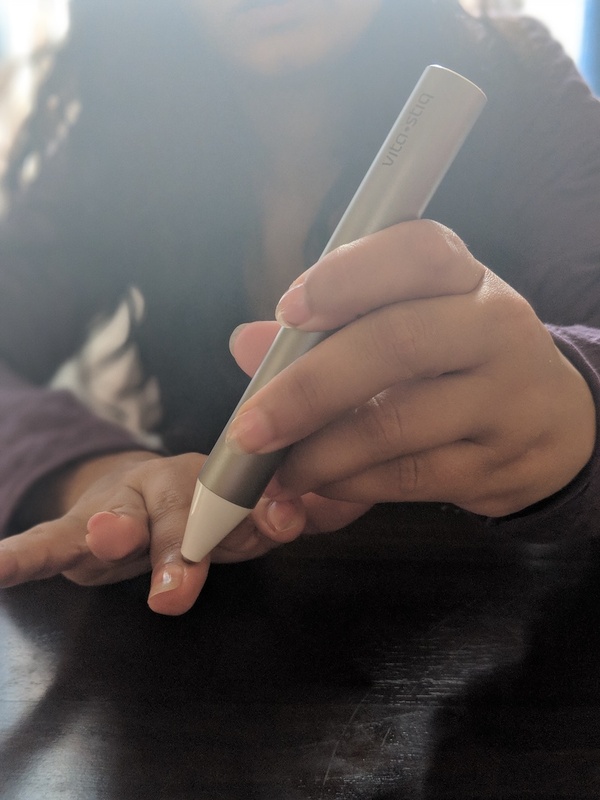 You use the pen to press on key acupuncture points, like your thumb (you need to moisten each point first to get an accurate reading), and the app will calculate your essential vitamin and mineral levels and save it under your profile. For me the best part about this is that it can be used by multiple users which means I can check my father’s readings as well. Overall, I feel it’s a great way to ensure that your family and you are consuming a diet rich in minerals and vitamins. Having said that, anyone using the device should not rely on information from this device alone when assessing their health. And it should be used in conjunction with advice from a qualified medical professional. You can orders yours here. 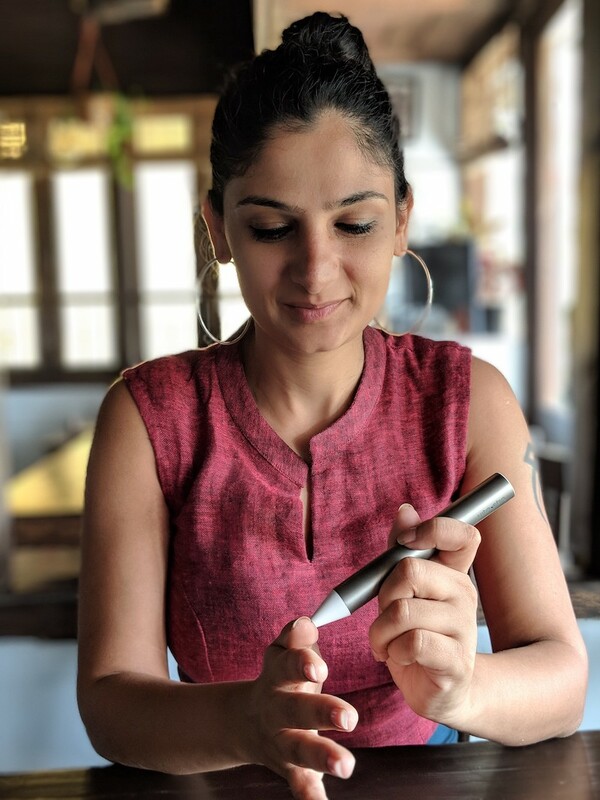 PS – Since the time I wrote this article and now, I realised that my Vitamin D levels were not up to the mark and I’m glad I started on a course of Vitamin D and feel much better. 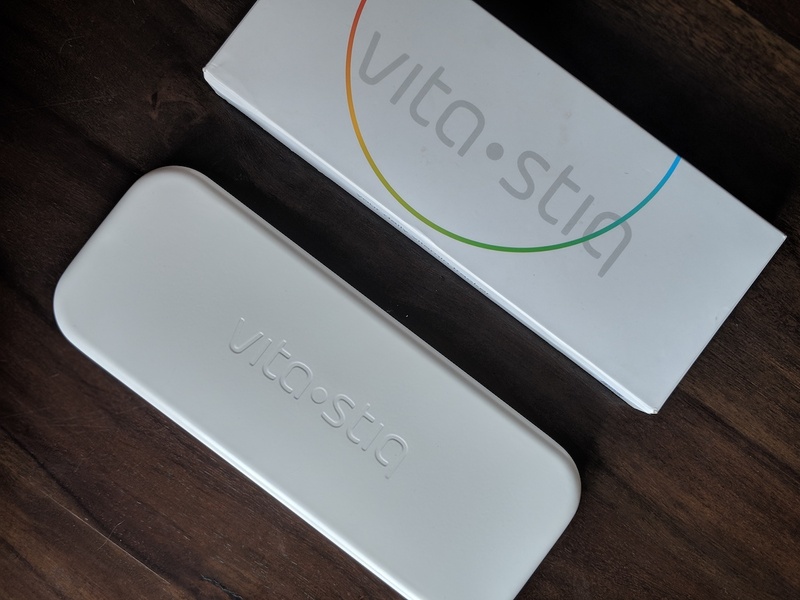 I received the Vita Stiq 2 for review. However, all opinions are my own.